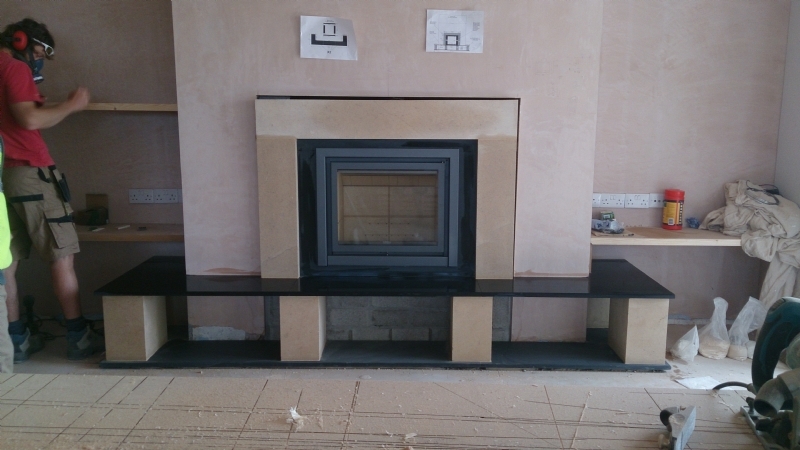 Stuv16/68 in Rock , Cornwall wood burning stove installation from Kernow Fires. Customer Requirements: The house is undergoing a lot of work so other workmen will be on site throughout the process and will need to be worked around. Highest quality workmanship is required. 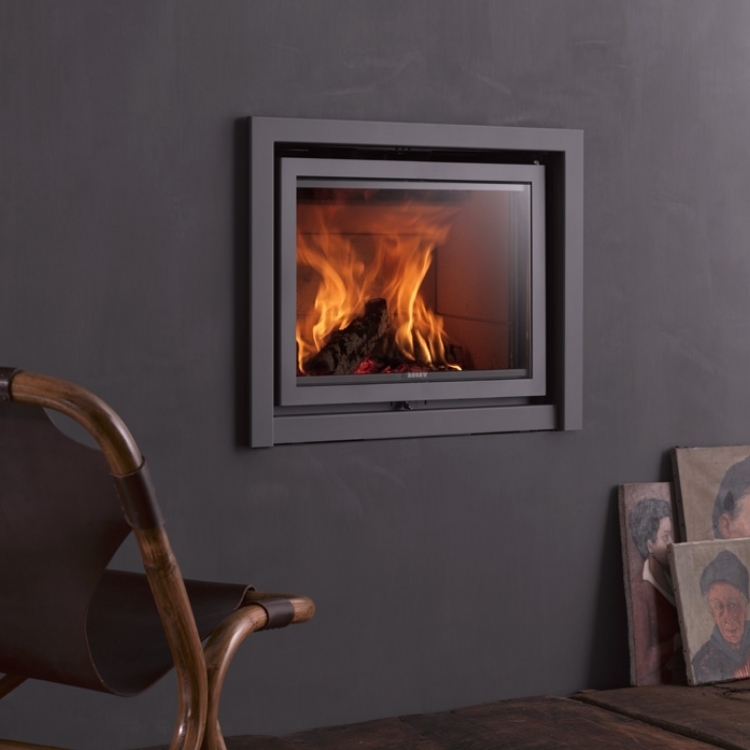 The Stuv 16/68 is a highly engineered fire with very little surround and fussiness in the design. 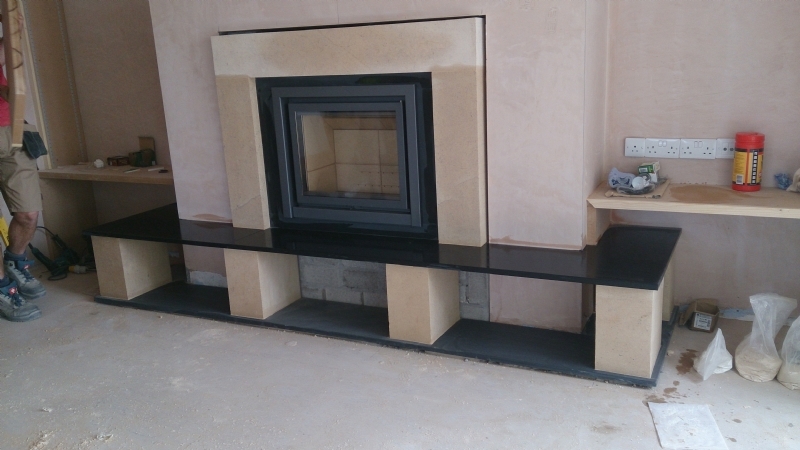 The Wessex stone surround is clean and simple and made to order to fit exactly. 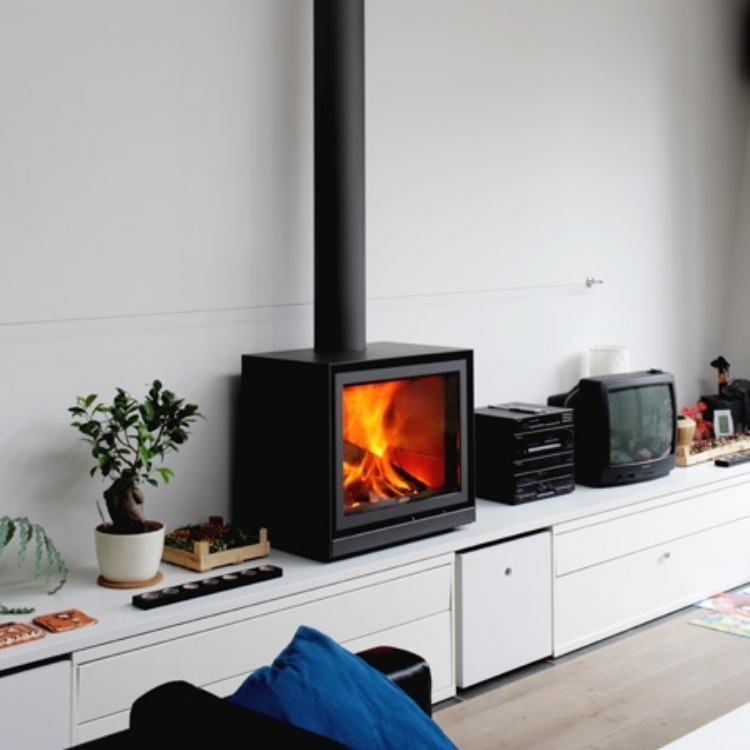 The bespoke fireplace includes a log storage area below the fire.